Because rank results are not the same country by country, even city by city, you need Georanker API to retrieve this information through local IP addresses to see the results as seen by local users. 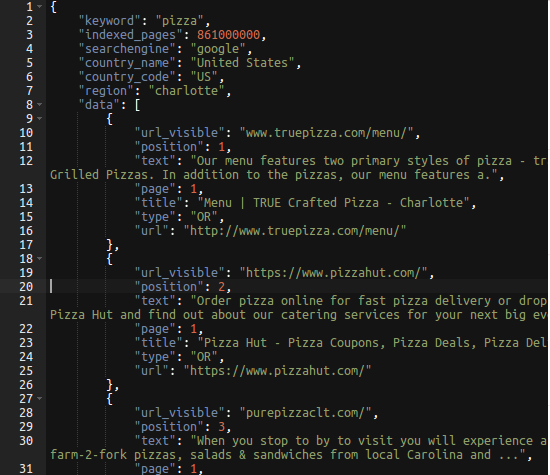 Our SERP API can support any number of requests done for any location and any keyword retrieving the TOP100 results. including for each of them results the description field and, if requested, search page indicators like Knowledge Graph, Carousel, Answer Box, Local Pack, Image Pack, News Pack, Paid results and more. The API can empower or fuel with data any kind of seo-software built in any kind of purposes; analytical softwares, seo tools, seo databases, tracking KPIs, keywords evolution in times and many other. 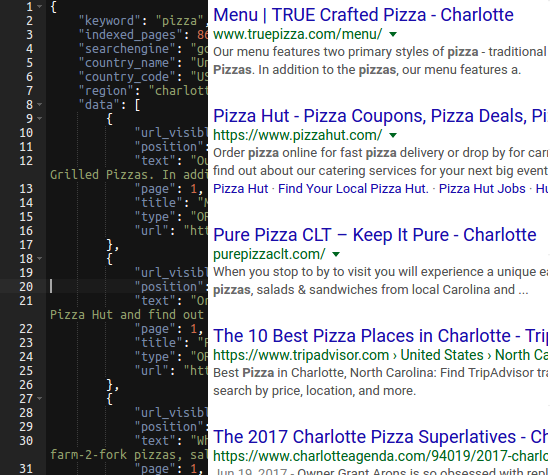 You can waste time and set-up some proxies systems to help you in this direction, but our SERP API might be the solution you need. Easy to use, providing accurate results in real time or not, from any location, bulk importing and the most friendly support and help you’ll find on the market. Either you need results from Google Organic, Google Maps, Ads, 3 pack or any other search engine, our SERP api can fuel your application or system. Data is available for Google, Google Maps, Google Mobile, Yahoo!, Youtube,Bing, Yandex & Baidu. 1 milion request? 10 million request? Even more? Let’s discuss about this.